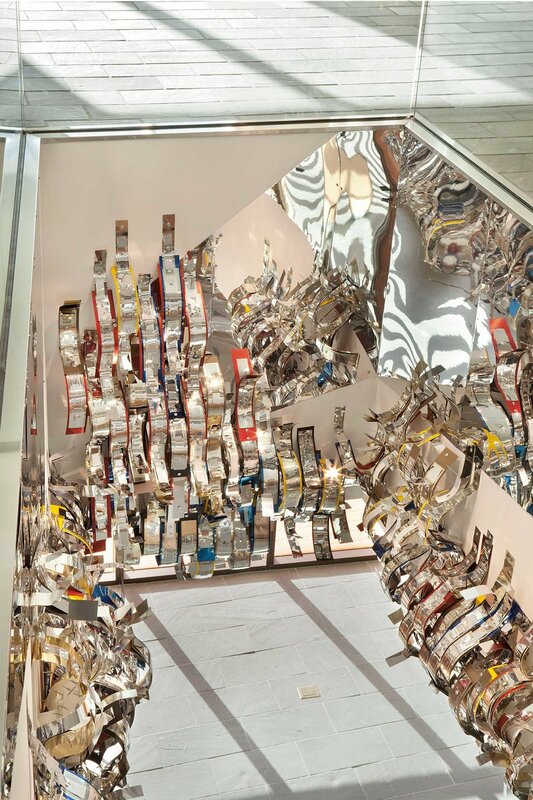 Over 100,000 polished (raw), brushed (matte), & colored aluminum, sizes variable: 1 x 7", 1.5 x 10", 2.5 x 13", 3 x 19", 4 x 24", 5 x 13" and 24 x 75"; 10,000 steel screw fasteners. 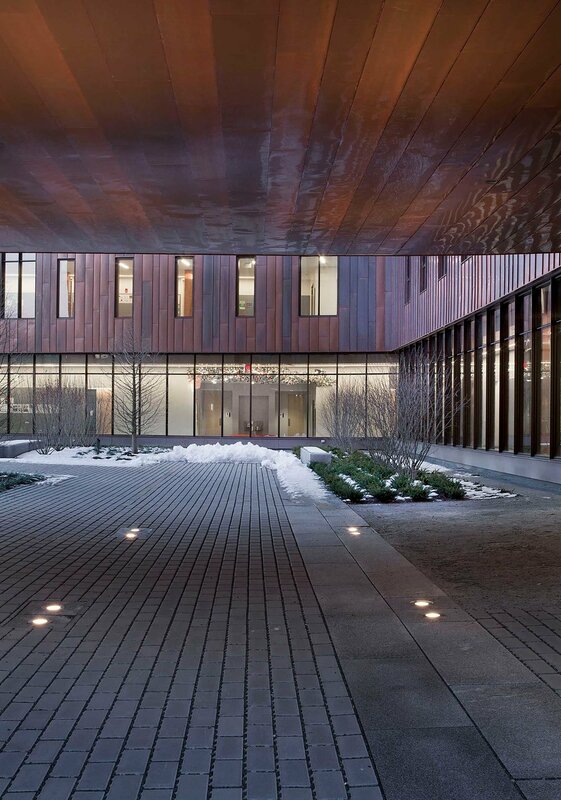 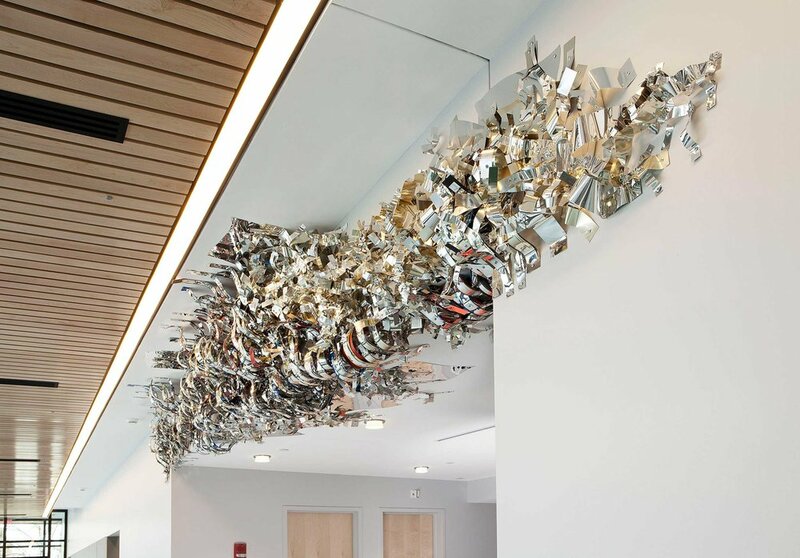 Merge is a permanent, site-specific installation spanning portions of Oak Hall on the campus of the University of Connecticut in Storrs, CT. 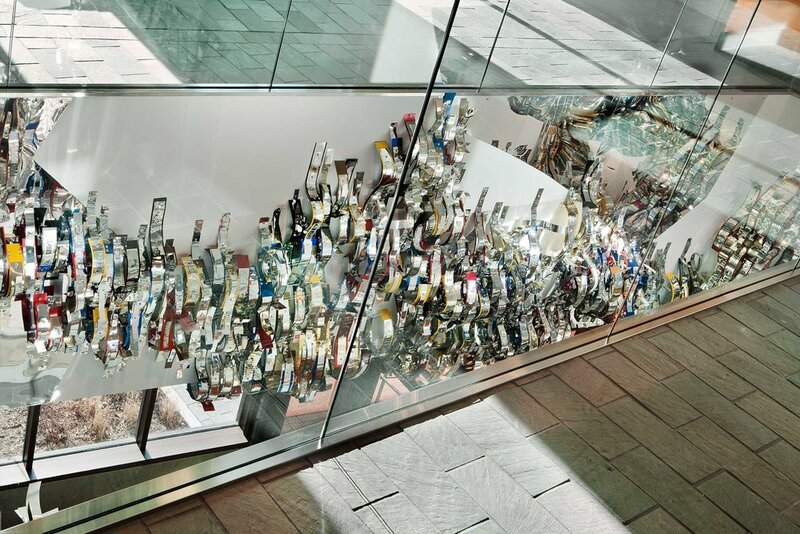 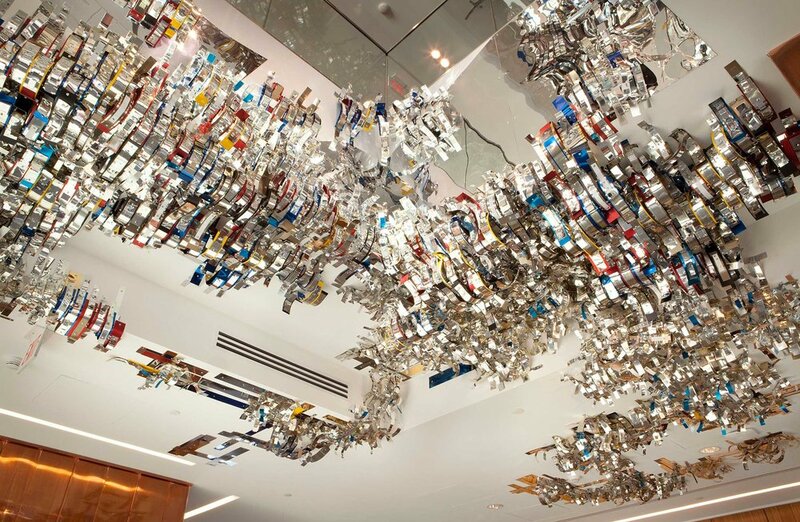 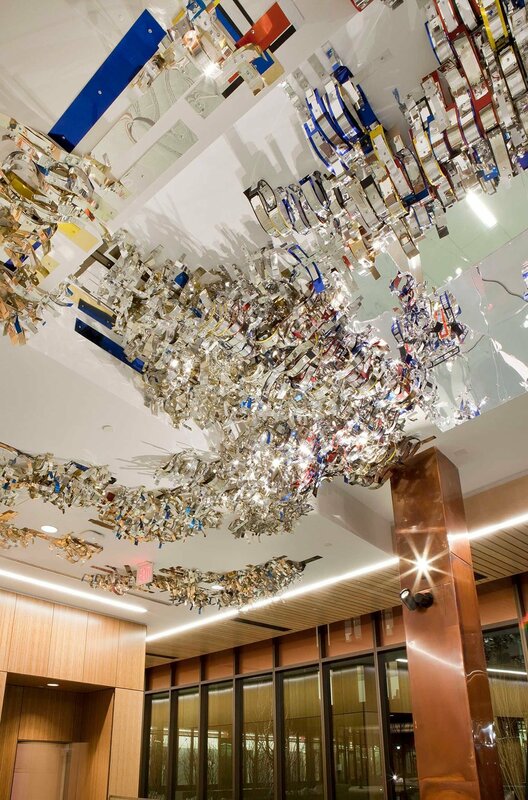 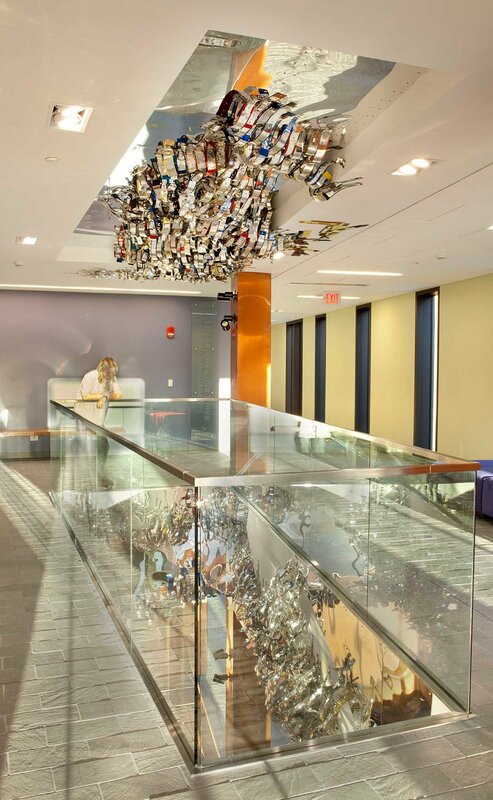 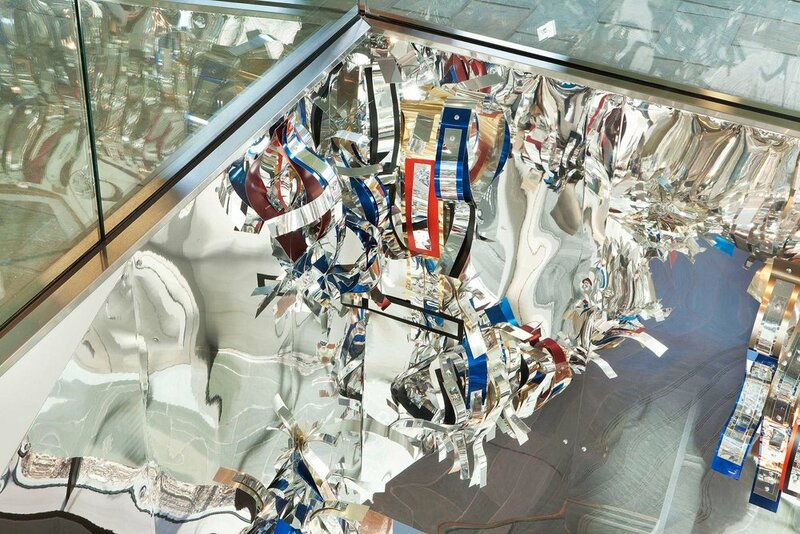 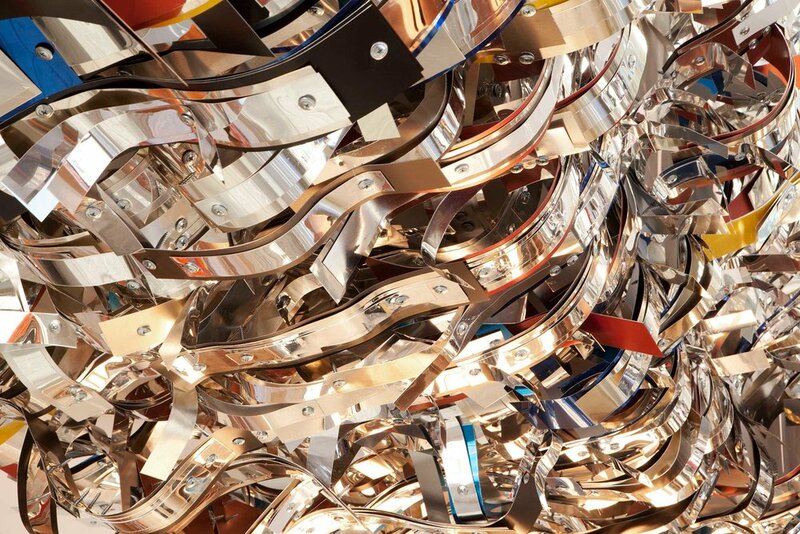 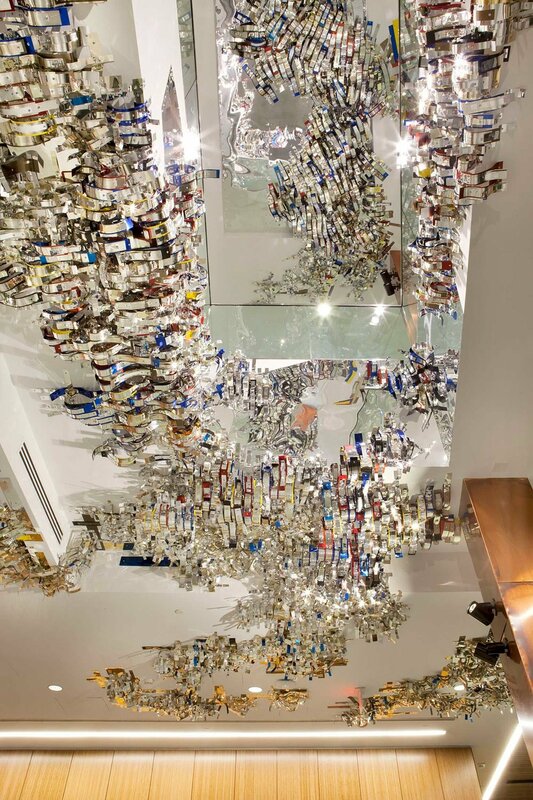 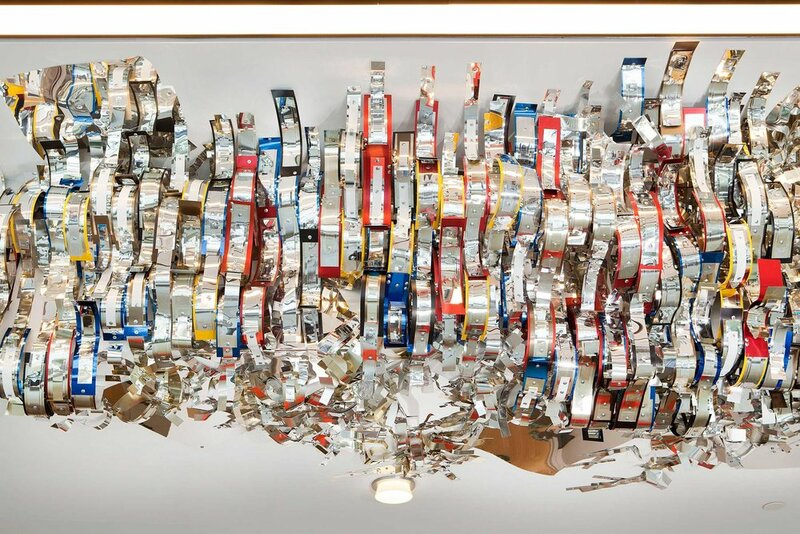 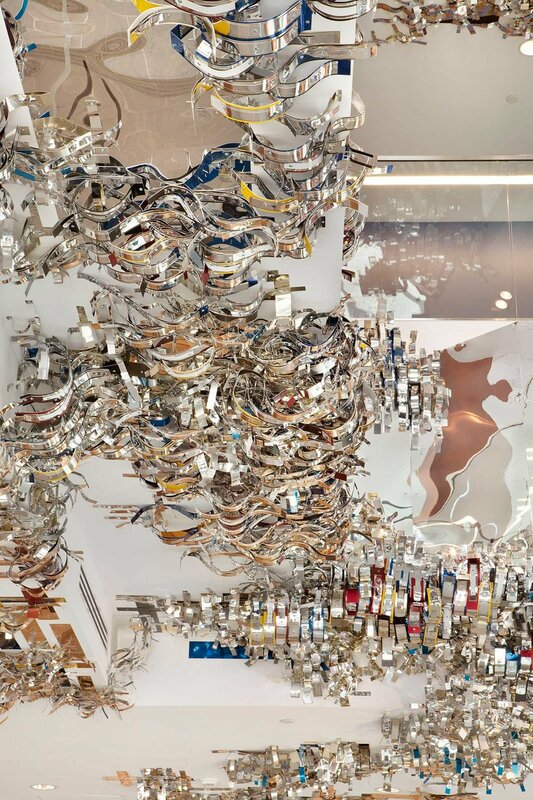 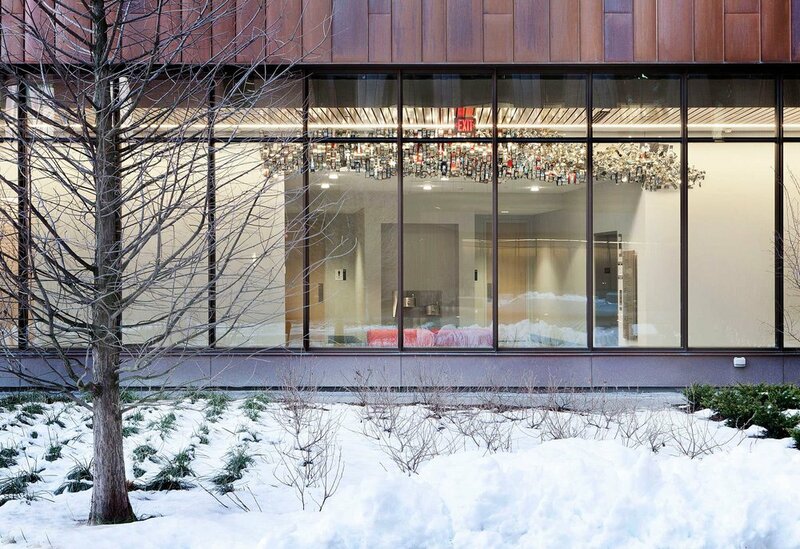 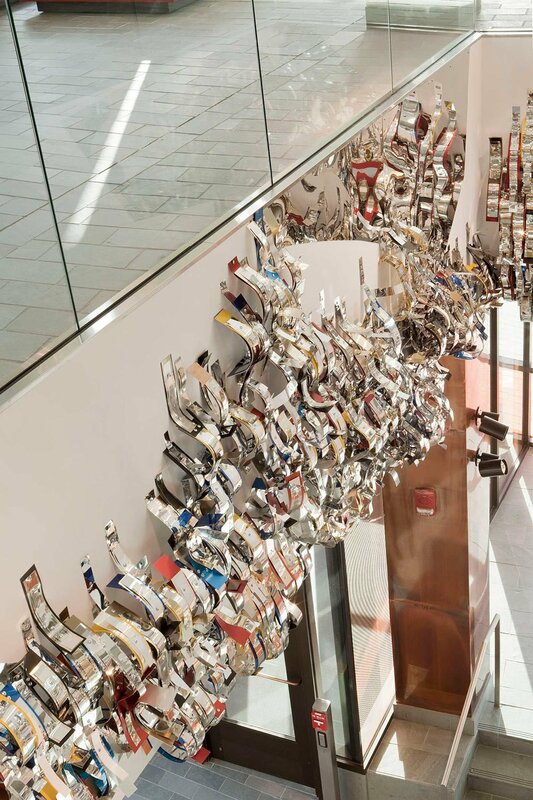 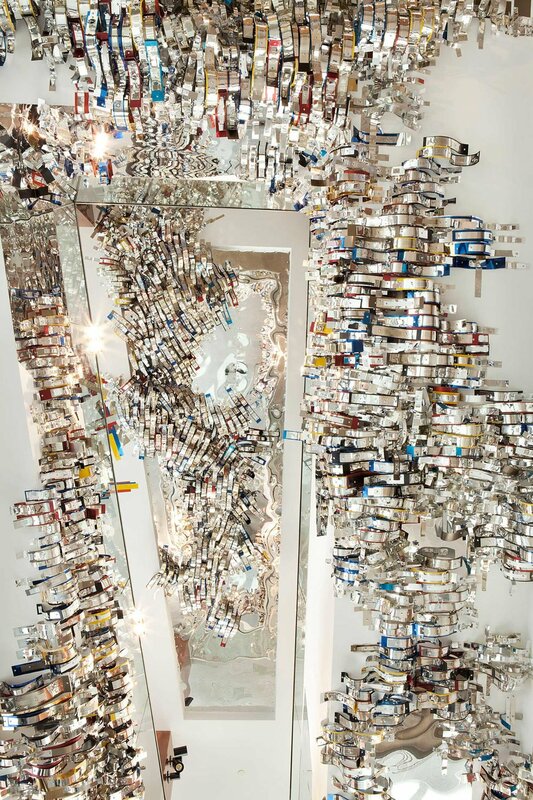 Extending from the first and second floors of the north lobby into the south lobby, the sculpture is an organically flowing river of shiny aluminum. 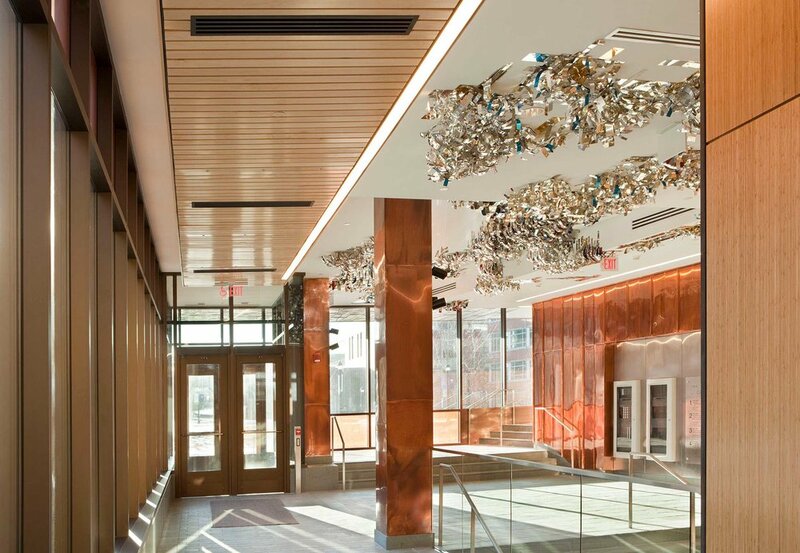 Appearing as if it comes from nature, the man-made material implies constant movement while reflecting the changing light throughout the day and night. 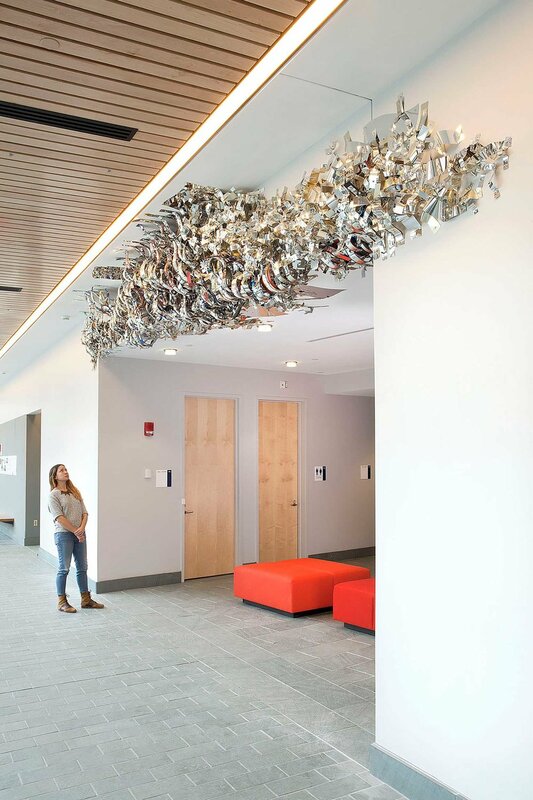 Commissioned by "Art in Public Spaces," Connecticut Department of Economic & Community Development.